During our week-long travel across Latvia, we were struck by the country’s diverse natural environment - sprinkled with adorable little towns and lonely villages, softly embedded within the country’s landscape. 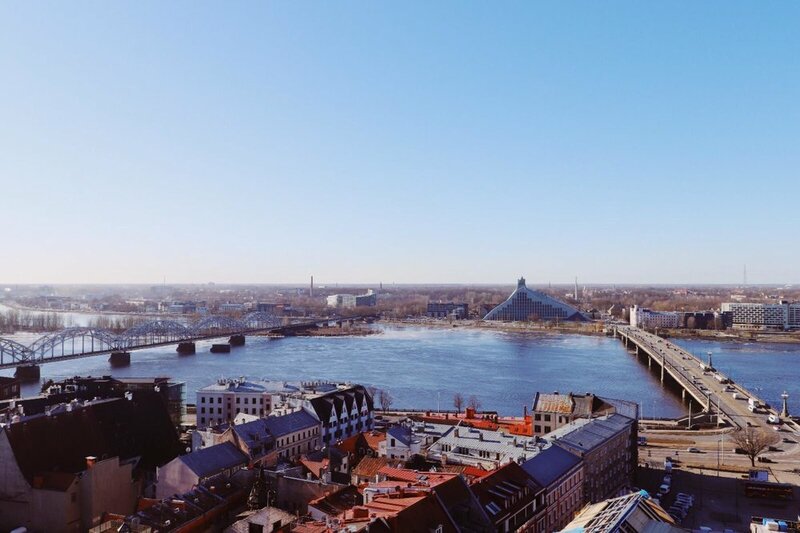 We began our journey flying into Latvia’s Baltic capital city, Riga. 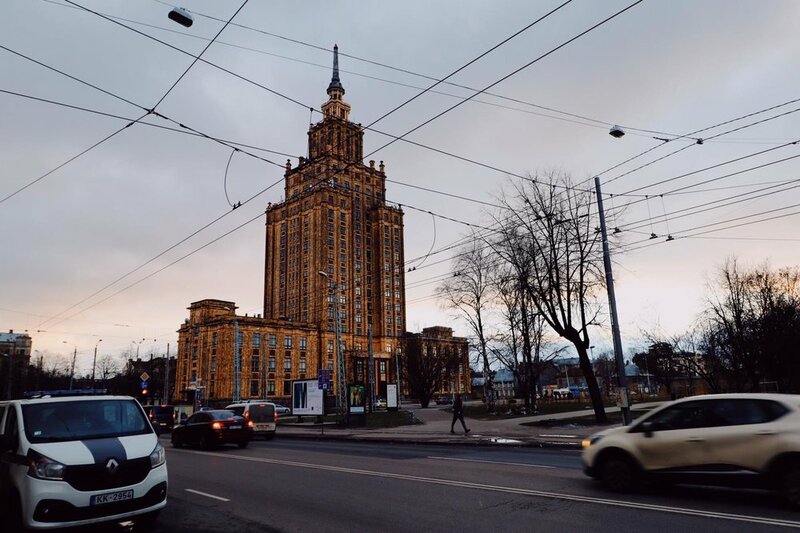 The metropolis - the largest in the Baltics - struck us with its wide boulevards and Art Nouveau architecture which encircles the Old Town. It was a great break away from the post-war Soviet architecture which predominates many town suburbs in East and Central Europe. On our second day of travel, we headed to Jūrmala - a popular seaside resort - just north-west of Riga. It was late February and cold, the Lielupe River (which surrounds the town to the south) was frozen. It was peaceful. We enjoyed taking a stroll through the Dubulti and Majori parts of town, including, a little sneak peak inside St. Vladimir the Great’s Church with its amazing religious iconography. We spent our long afternoon walking down the beach, admiring the sunset, and having a look at the characteristically wooden summer houses which line the seafront. Sigulda was an hour and ten minutes’ train ride away north-east from Riga. The town is a perfect gateway into Gauja National Park. Enjoy visiting the town’s three impressive castles: the New Castle (built in 1878 in the Neo-Gothic architectural style); the fifteenth-century Castle of the Livonian Order, as well as the famous Turaida Castle, located some 4.5 kilometres north of Sigulda’s town centre. We got caught out by a snow blizzard and hid in Sigulda’s Kaku Maja Bistro until our train ride back to Riga. Perhaps, the most beautiful town in Latvia is Kuldīga. Founded by the widest waterfall in Europe, the picturesque town of Kuldīga has plenty to offer for nature and history enthusiasts alike. Take a look for yourself down below. 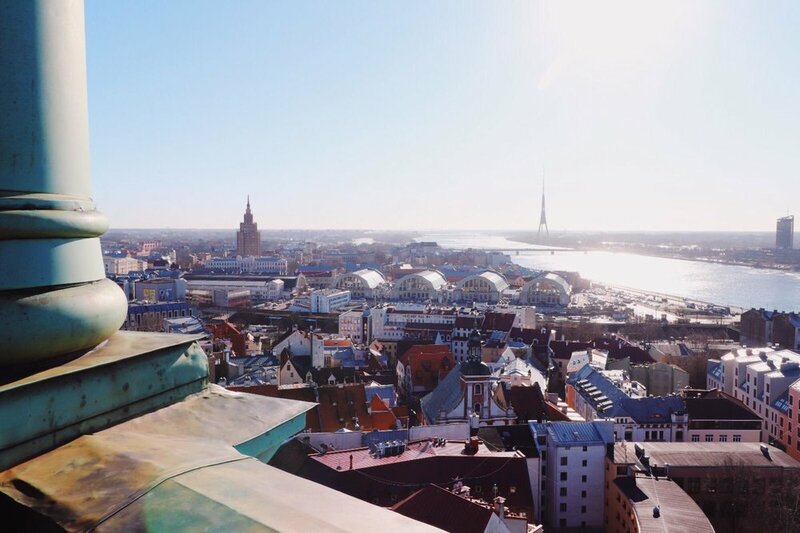 We hope you’ll become inspired and head to Latvia for yourself. Latvian Academy of Sciences, Riga. House of the Blackheads, Riga. Nativity of Christ Cathedral, Riga. An impressive example of Art Nouveau architecture by Alberta iela, Riga. Board walk towards the beach in Jūrmala. The golden sand beach in Jūrmala. St. Vladimir the Great’s Church in Jūrmala. Gatehouse to the New Castle, Sigulda. The medieval castle in Sigulda. Gauja River Valley as seen from Sigulda. Old brick bridge over the Venta River, Kuldīga. A picturesque cottage by the Venta Waterfall, Kuldīga. Venta River with Kuldīga and Kalnmuiža in the distance. An example of the Old Town’s vibrant architecture in Kuldīga.